Chromebooks like Acer’s Chromebook 14 are an excellent alternative to budget-minded Windows laptops yet even with the recent addition of Android apps, some still prefer a Microsoft operating system. If you fall into this category and happen to be in the market for a low-cost 2-in-1 Windows machine, Lenovo’s just-announced Miix 320 may be worth a look. 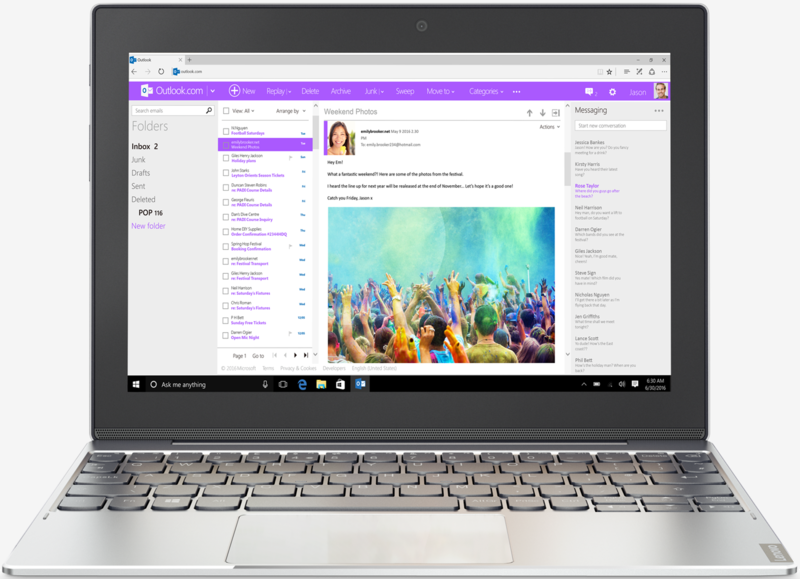 The Lenovo Miix 320, marketed to millennials and post-millennials that juggle multiple side jobs via the “gig economy,” features a 10.1-inch full HD (1,920 x 1,200) touchscreen display driven by Intel’s Atom X5 processor, Intel HD graphics, up to 4GB of RAM and up to 128GB of eMMC local storage. The Windows 10 machine also includes 802.11ac (2x2) Wi-Fi, Bluetooth 4.2 combo w/ Wi-Fi card, Dolby Advanced Audio speakers, 10 hours of battery life, optional dual antenna LTE connectivity, a 5-megapixel rear-facing camera, a 2-megapixel webcam, a USB Type-C port, two USB 2.0 ports, a micro HDMI port, a microSD card slot, a nano SIM slot and a combination audio jack. The system with keyboard measures 17.5mm (the tablet is 9mm and the keyboard dock is 8.5mm) and tips the scales at 2.25 pounds. The Lenovo Miix 320 goes on sale next month starting at just $199.99 for the Wi-Fi only model with included keyboard dock. It’s not a powerhouse of a system but given its price, you’ll be hard-pressed to find a comparable Windows setup.